As is becoming the usual, images and specifications of the next big phone hit the cyber waves before an official announcement of the device. 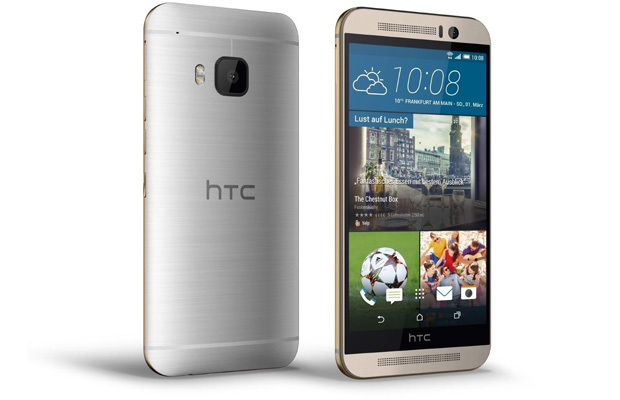 HTC’s next flagship phone, fully expected to be called the One M9, had its own coming out party this weekend. The Taiwanese company is set to officially announce the device at the upcoming MCW on the first of March, but the fellas over at Mobile Geeks came across a full spec sheet, images and even an expected price tag, 749 Euros in Germany. The spec sheet doesn’t offer many surprises: 2Ghz Octa-core Snapdragon 810 processor, 3 GB of RAM, 32 GB internal storage (plus microSD support), and a 20-mega pixel rear camera. Android 5.0 Lollipop is listed as the operating system of choice, with the new Sense 7 software skin. The look of the phone does not depart much from the One M8, with the exception being the moving of the power button to the side of the phone. The images show a slick combination of gold and silver in a two-tone look, and the ever popular gunmetal grey. The most noticeable feature of the HTC One M-series has to be the BoomSound speakers, which feature prominently just outside of the 5 inch screen. The display will sport 1080p resolution, forgoing the 4k displays of LG and Samsung. HTC produces a great phone, without the need for mind-melting specs. The One M8 was an unsung giant of the last generation of phones. Will the One M9 get the praise the other did not?